Lahore School of Economics scored highest percentage (86%) in NBEAC-HEC accreditation process. 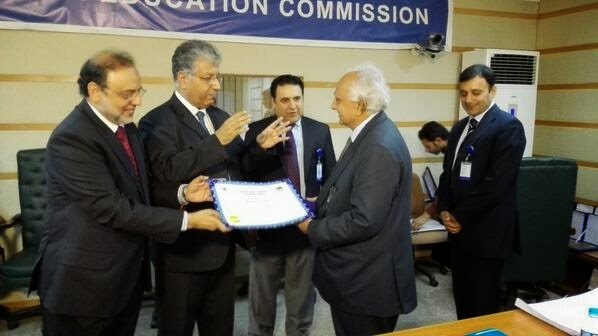 National Business Education Accreditation Council accredited the Lahore School for four years at its twelfth meeting in Islamabad on June 26, 2014. Earlier, NBEAC team visited the Lahore School on May 19-21, May 2014. Here, Dr Shahid Amjad Chaudhry, the Rector Lahore School of Economics is receiving the accreditation certificate from Dr Mukhtar Ahmad, Chairman HEC and Dr Hasan Sohaib Murad, Chairman NBEAC-HEC. 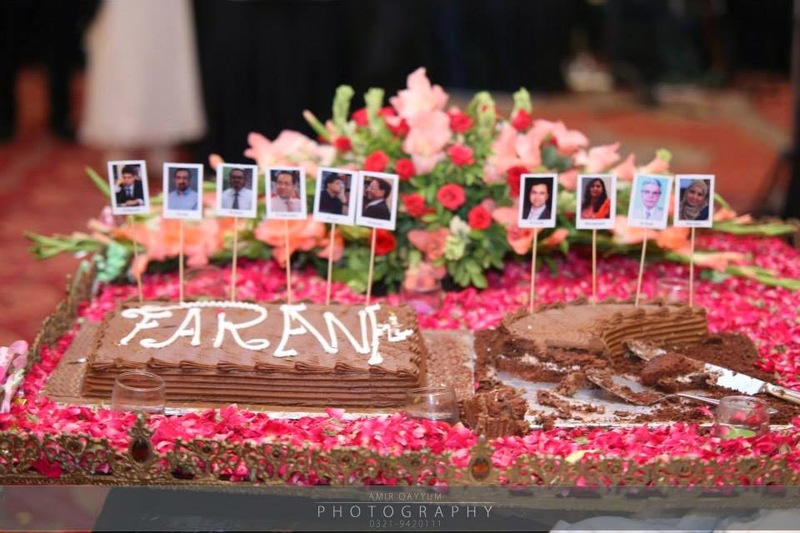 Lahore School of Economics bid farewell to its graduating MBA class on June 22, 2014. The traditional evening was marked by captivating performances of Lahore School students at their best. Mr. Nadeem Rehmani, Director Operations - METRO Cash & Carry, was invited to the Lahore School of Economics to deliver a lecture on “Supply Chain Management” to the graduating MBA class on June 12, 2014. METRO group is a $44 billion company which is based in Germany and has managed to achieve this status in only 7 years. Its components include ‘Self-serving Stores’, ‘Consumer Electronic Stores’, ‘Hyperstar’ and ‘Department Stores’. Currently METRO is a part of the 50th largest fortune companies in the world. METRO is the 4th largest FMCG Company in Pakistan after Nestle, PepsiCo and Unilever. 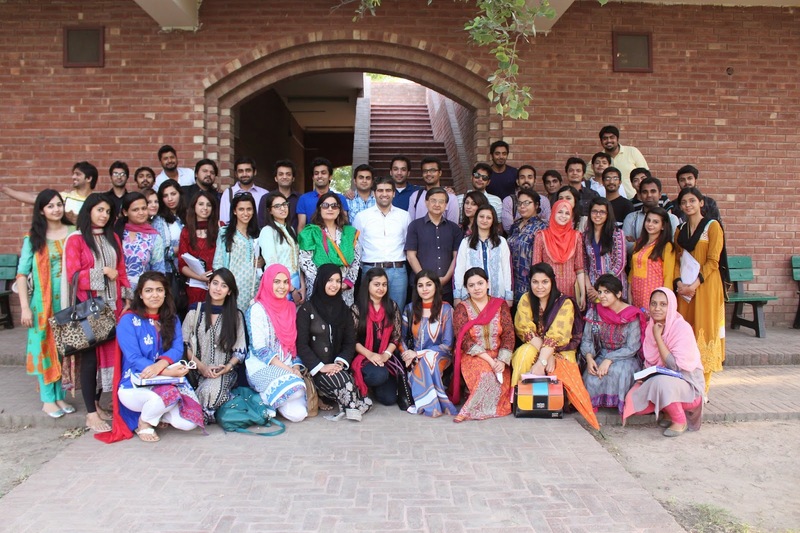 Mr. Zeeshan Feroze, Managing Director of Master Textiles currently heading the Processing Section was invited to the Lahore School of Economics to deliver a lecture on “Operations Management” to a class of BBA (Hons) 3rd year on June 11, 2014. After an overview of the Company, Mr. Feroze talked about how they were following the “Forever Green” strategy where they adhere to different standards such as the Oeko-Tex 100 for Dyes and Chemicals, ISO 9001 for Documentation, ISO 14000 for Environment, SA 8000 for Social Accountability, GOTS for Organic Cotton, Fair Trade Cotton, BIO for Organic and Re-cycled Polyester. His customers included ZARA, NEXT, Original Marine, and Tema. According to Mr. Feroze, Master Textiles is the third largest consumer, third largest exporter of cotton and second largest supporter of cotton with 450 spinning units which are currently under operation. 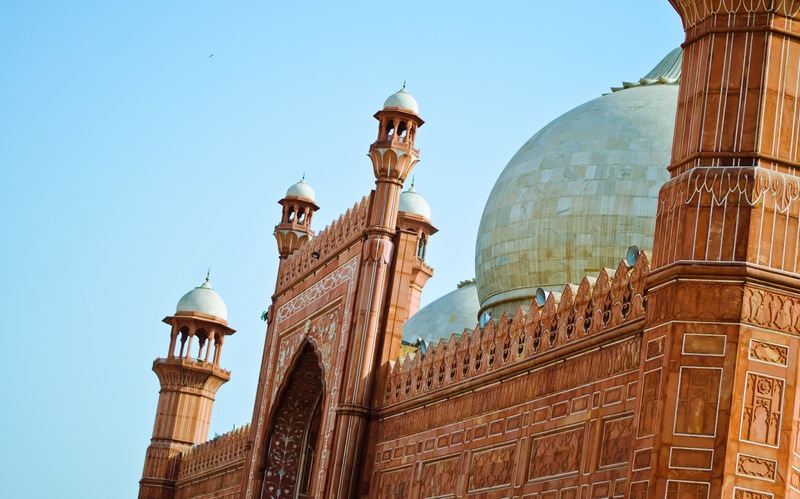 Lahore School Photography Society organized a Photo Walk after two successful workshops on basic and intermediate photography to Lahore Fort and Badshahi Mosque. Total of 27 society members participated in the walk on June 15, 2014. Lahore School Arts Society was also invited to the guided Walk. Students snapped some amazing images during the Walk. 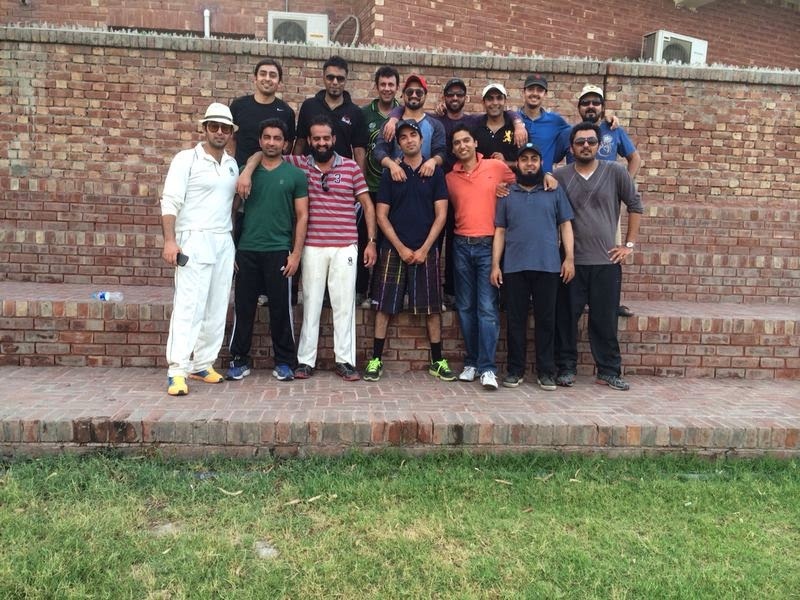 Alumni from Class of 2006 visited Lahore School to play a cricket match on June 8, 2014. They had great fun getting together at a place from where they all had great memories. A two match series was played by the two teams of MBA: Batch of 2006 ; Section A and Section B. Section A Team made LSE Cricket Ground look no less then Sharjah. The only difference was that the last ball six in both the matches was not hit by Javed Miandad but by our very own alumni. You would think from our rapidly obsolete laptops and ever updating phones that all new technology spreads at a breakneck pace. On Thursday, June 05 2014, Mr. Asad Rizvi, Executive Director - Orient Mccann was invited to the Lahore School to deliver a lecture on “Brand management and Advertising” to the graduating MBA class. The speaker taked about integrated advertising and internal working of advertising agencies, client and agency relationship and ad making process. The Lahore School’s outstanding students and Alumni are awarded with Fulbright Scholarships in United States every year. Below is the list of Lahore School’s graduates currently studying on Fulbright Scholarships in the United States of America. Pakistan’s football-making industry is benefitting from a new technology which allows balls to be made more efficiently, thanks to research funded by the International Growth Centre (IGC), based at the London School of Economics and Political Science (LSE). Researchers found a new way to cut the footballs' pentagon panels from sheets of an artificial leather, rexine – the most costly input into football production. The Economic Survey of Pakistan 2013-14 was released by the government on June 3, 2014. Read it here. Lahore School student Jawad Nasir, who left to study for one year in the U.S at The University of Georgia last year in June on the Rotary Scholarship (GRSP, was conferred William A. Watt Memorial Award (GRSP Student of the Year). This award is given to one of the 50 scholars who attend the scholarship every year as a reward for promoting the program's ideology of peace and accord among nations. The award this year was shared by two students from Pakistan. On return after successfully representing both Pakistan and the Lahore School of Economics, Jawad intends to continue his degree at the Lahore School. 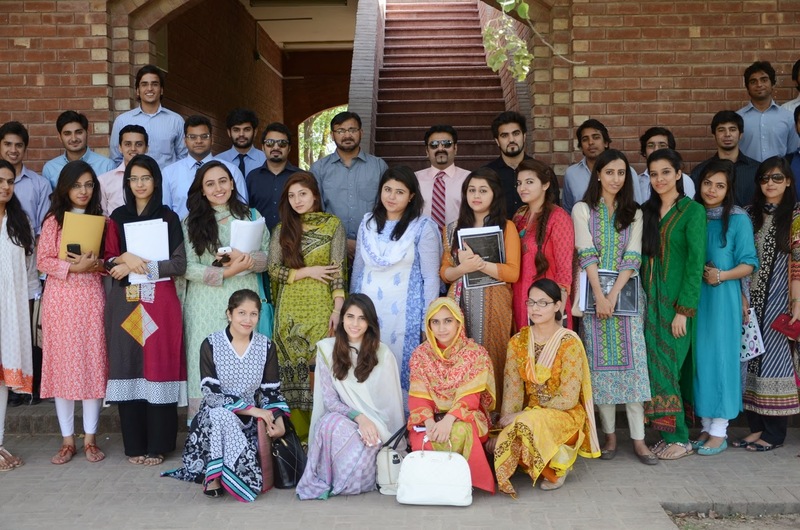 Lahore School of Economics Second Annual Business Research Conference concluded on May 31, 2104. The Conference was held at the Lahore School Main Campus in collaboration with CFA Society Pakistan, The Institute of Chartered Accountants of Pakistan, JCR-VIS, PACRA and MAP. The theme of the Conference was “Managing Business in Pakistan-Challenges and Opportunities." 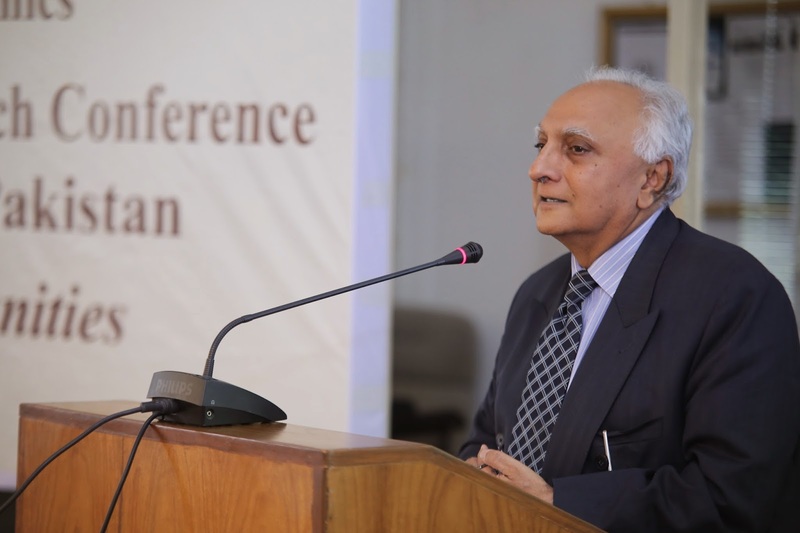 On May 30, 2014, the Conference was inaugurated by Dr Shahid Amjad Chaudhry, Rector, Lahore School of Economics, who welcomed all the speakers and guests. Dr. Amjad Waheed, CFA (CEO NAFA Funds) delivered the key note address with a special focus on the investment alternatives in Pakistan based on the historical performance and future outlook. Dr. Waheed recommended the use of Modern Portfolio Theory and strategic asset allocation process to investment decisions. According to him, this process is based on a three dimensional view of the risk, return and correlation between asset classes. He asserted that the investors should resort to the Capital Protected Strategy if they aim to protect their return against inflation and earn a decent return and substantiated it with attained results.